To be fair, I had literally every advantage. First, I didn’t “adjust” the optimizer to help it zone in on players with positive matchups. I went solely with the stock lineup, which, if you’ve read anything Kurt or I have suggested you’ll of course recognize the optimizer was not made to simply click “go.” It’s a tool, use it as one. Second, I was also able to see the optimizer’s choices and “correct” the mistakes I felt it made. This is critical, and precisely how you can maximize the benefit of the tool. Whatever adjustments you make, ultimately you should also scrutinize and modify the eventual lineups it spits out. 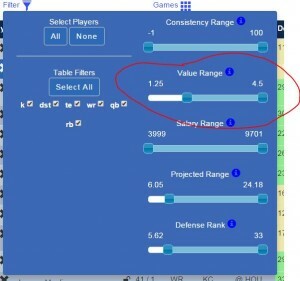 You need to avoid obvious errors, such as lack of lineup diversity or overlooking players in new situations. Here's some tips for cash games and GPP tournaments that goes into this subject a little deeper. Alright, on to the value picks! Carr has been consistently productive and comes off a week in which he just tossed four TDs against the respectable Jets defense. Amari Cooper and Michael Crabtree have proven to be a potent 1-2 punch and hey, he’s only 5500! I mean the case makes itself. Rests itself? The case rests. The defense rests. But not when they’re playing Carr. No resting on D, then! 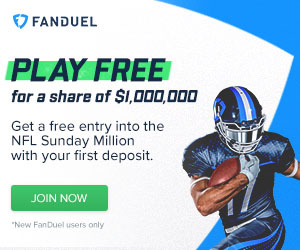 FanDuel prices move up and down much more slowly than Draftkings and as such, I love Taylor on Draftkings (and still have no issue using him on Fanduel). When Taylor has played, he’s been studly. I think Miami is a much improved team compared to what they were at the beginning of the season, but they certainly aren’t world-beaters. Now at home and with a clean bill of health, Taylor should easily justify a starting spot. He’s the workhorse. He’s talented. The Chargers can be run on. Deeper analysis? Ok. The Bears are a time of possession, control the clock, long drives sort of team. That requires a lot of running. The depth chart behind Langford isn’t awe-inspiring. So, a guy who’s getting all the work in a high-volume, competent rush offense? Yeah. Sign me up. I’d like to give better analysis, but it comes down to this: no Khiry Robinson. Spiller is a dynamic player and a competent pass catcher. I (and many fantasy owners) have been excited to see what happens if and when Spiller finally gets a larger opportunity in the Saints backfield, and week 9 could finally give way to our first glimpse at precisely that scenario. After Drew Brees’ massive week 8 explosion, it seemed as if he had finally and officially overcome his early season injury issues - news, of course, which bodes well for all of the Saints receiving corps. Snead is a legitimate top-20 receiver and his price is still low enough to provide value in your lineup. Use him! The unfortunate season-ending kidney injury to Keenan Allen has thrust Stevie Johnson into the spotlight of one of the NFL’s highest-volume passing offenses. While I don’t expect Johnson to slide right in and immediately consume all of Allen’s target-monster-ness, I do think a healthy share of Philip Rivers’ gunslinging will be directed his way. At 3200, he’s a steal. LaFell’s usage has gone up from week to week since his return from injury and this is the matchup I’ve been waiting for. The Patriots game plan for specific opponents and the Redskins, already horrible against the pass, now have a banged up secondary, to boot. Anyone on the field with Tom Brady 80% of the time is worth a spot in your lineup and against a bottom-5 defense, LaFell has a chance to explode. Just another reminder: if he’s active, you use him. The Giants just gave up 9 receptions for 147 yards and a score to Benjamin Watson, and ASJ is significantly more talented. Keep an eye on the practice reports, but this could be the week he’s back in action. Ben Roethlisberger is back and oh, yeah, he’s playing the Raiders. League-worst against the tight end position. Do it. If they can do it against the Packers they can do it against anyone. The Broncos D/ST should be in your lineup every week. For week 9 really like the Falcons D/ST against the San Francisco Blaine Gabberts and the Saints D/ST against the Titans is also a very reasonable low-cost option.